Barnes & Noble, Inc., a Fortune 1000 company, is the bookseller with the largest number of retail outlets in the United States and a retailer of content, digital media, and educational products. As of March 7, 2019, the company operates 627 retail stores in all 50 U.S. states. After a series of mergers and bankruptcies in the American bookstore industry since the 1990s, Barnes & Noble stands alone as the United States' largest national bookstore chain. 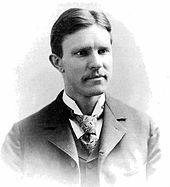 Previously, Barnes & Noble operated the chain of small B. Dalton Bookseller stores in malls until they announced the liquidation of the chain. The company was also one of the nation's largest manager of college textbook stores located on or near many college campuses when that division was spun off as a separate public company called Barnes & Noble Education in 2015. The company is known for large retail outlets, many of which contain a café serving Starbucks coffee and other consumables. Most stores sell books, magazines, newspapers, DVDs, graphic novels, gifts, games, toys, music, and Nook e‑readers and tablets. ^ a b "Barnes & Noble Reports Fiscal 2019 Third Quarter Results". Barnes & Noble (Press release). March 7, 2019. ^ "Barnes & Noble". Fortune. Retrieved January 28, 2019. ^ Miller, Stephen (October 13, 2015). "Bruce Dayton, CEO of Retailer That Became Target, Dies at 97". Bloomberg News. Retrieved November 15, 2015. ^ St. John, Warren (July 6, 1999). "Barnes & Noble's Epiphany". Wired. Archived from the original on May 6, 2008. Retrieved May 19, 2008. 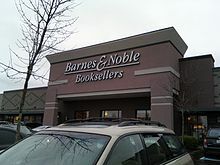 ^ "Barnesandnoble sets IPO at $18 - May 24, 1999". money.cnn.com. Retrieved August 22, 2018. ^ "Huge Decline In Book Reading". Retrieved August 22, 2018. ^ Kirkpatrick, David D. "A Shifting Of Leadership At Bookseller; Barnes & Noble Chief Steps Aside for Brother". Retrieved August 22, 2018. ^ "Barnes & Noble CEO Steps Down, BN.com President William Lynch Takes Over". TechCrunch. Retrieved August 22, 2018. ^ Isidore, Chris (July 3, 2018). "Barnes & Noble fires CEO for violating company policy". CNNMoney. Retrieved July 4, 2018. ^ "A lawsuit by a fired Barnes & Noble CEO is a spectacular example of not going quietly". Quartz at Work. Retrieved August 30, 2018. ^ Pasquarelli, Adrianne (January 7, 2014). "Barnes & Noble closes the book on Fifth Ave. store". 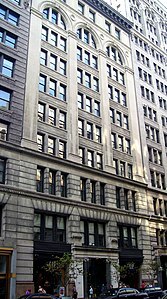 Crain's New York Business. Retrieved September 1, 2015. ^ Thomas, Lauren (February 13, 2018). "Barnes & Noble confirms job cuts, expects $40 million in annual cost savings". CNBC. Retrieved August 22, 2018. ^ CNN (September 6, 2018). "Barnes & Noble's losses widen; leaders blame lack of foot-traffic in stores". KNXV-TV. Retrieved September 20, 2018. ^ a b Wyatt, Edward. "Huge Book Retailer Expands Its Publishing Role". Retrieved August 22, 2018. ^ "Barnes & Noble: a history". May 20, 2011. ISSN 0307-1235. Retrieved August 22, 2018. ^ "Barnes & Noble inc - BKS Quarterly Report (10-Q) Item 1: Financial Statements". Edgar Online. June 18, 2001. Archived from the original on December 24, 2007. Retrieved February 5, 2008. ^ "Business | Starbucks Co. Books Space In Barnes & Noble Chain | Seattle Times Newspaper". community.seattletimes.nwsource.com. Retrieved August 22, 2018. ^ Neilson, Ranjay Gulati, Sarah Huffman, and Gary L. "The Barista Principle — Starbucks and the Rise of Relational Capital". strategy+business. Retrieved August 9, 2017. ^ "Cheers? Barnes & Noble Is Getting Into the Bars and Restaurant Business". Fortune. Retrieved August 22, 2018. ^ "Barnes & Noble continues to expand full-service Kitchen". Nation's Restaurant News. November 10, 2017. Retrieved March 16, 2018. ^ a b intern, David Jones, News-Miner. "Barnes & Noble voted best local bookstore". Fairbanks Daily News-Miner. Retrieved August 22, 2018. ^ "Pick up a page-turner: Book-sellers name their summer reading picks". August 8, 2018. ^ "Summer Reading Challenge". Barnes & Noble website. Archived from the original on April 30, 2009. Retrieved May 8, 2009. ^ Staff, Motley Fool. "Barnes & Noble (BKS) Q4 2018 Earnings Conference Call Transcript". The Motley Fool. Retrieved August 22, 2018. ^ "Fun Stuff for Kids Online". Sioux City Journal. Retrieved August 31, 2018. ^ Ovide, Shira (May 2, 2012). "Microsoft to Invest in Barnes & Noble's Nook". Online.wsj.com. Retrieved September 18, 2012. ^ Kell, John (February 26, 2015). "Barnes & Noble is spinning off its college store business". Fortune. Retrieved August 30, 2018. ^ McCoy, Kevin (August 30, 2017). "Barnes & Noble Education shares plunge on earnings miss". USA Today. Retrieved August 30, 2018. The Rise And Fall Of Barnes & Noble. CNBC. November 8, 2018.